How Much Water Is Nestlé Pumping Out of California? On March 20, protesters from the “Crunch Nestlé Alliance” stormed the company’s water bottling plant in Sacramento with plastic torches and pitchforks. For all its bombast, the protest was a peaceful one that ended by 1 PM and with no arrests. However, it drew attention to a serious concern shared by many Californians: Is pumping so much groundwater sustainable over the long term? If you ask NASA’s senior water scientist, Dr. Famiglietti, the answer is a definitive “no.” And that goes for the rest of the planet, too. In October 2014, Famiglietti published a research paper in the journal Nature Climate Change that claims global groundwater resources are being drained faster than they can be replenished. But even if the problem cannot be fixed, Famiglietti is hopeful that it can be managed. So where does that leave California and Nestlé? The same place we left them a few paragraphs ago. According to Salon, Nestlé is pumping groundwater from at least a dozen locations throughout the Golden State. The company has a 25-year contract with the Morongo Band of Cahuila Mission Indians to draw water from their Millard Canyon wells, where they’re pumping an estimated 200-250 million gallons per year. 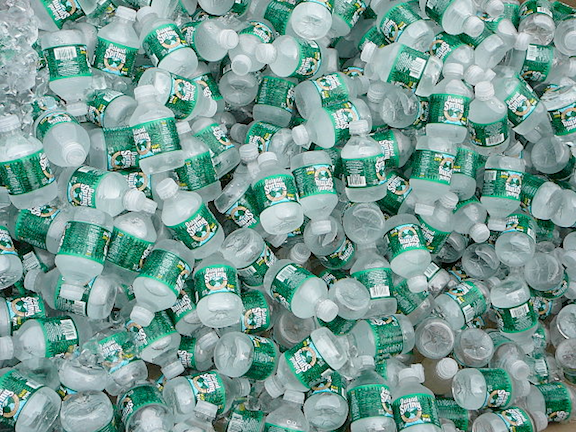 In 2012, Nestlé Waters North America, earned $4 billion in revenues. The fact that a portion of that money comes from selling water taken from California aquifers to Californians – water that Californians could otherwise get for free – is somewhat mind-boggling, but so is the concept of bottling water in general (at least in the United States). What had Sacremento protesters so up in arms was the fact that Nestlé is allegedly paying 65 cents for every 470 gallons it drains from California. “This corporate welfare giveaway is an outrage and warrants a major investigation,” said “Crunch Nestlé” spokesperson Andy Conn. Meanwhile, how much water Nestlé is really pumping remains a mystery.